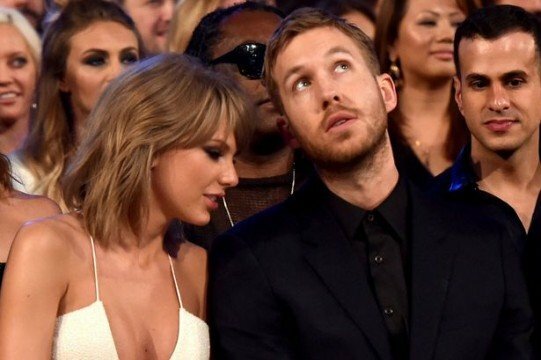 Do Calvin Harris And Taylor Swift Have Something In The Works? Global superstar DJ Calvin Harris is suspected to have a whole host of new music on the way – even if his performance during week 1 of Coachella fell short of bringing anything new to the table. However, fans have recently drawn a connection between him and his tabloid girlfriend, Taylor Swift, that has prompted many to theorize that the two have a collaboration in the works. So there you have it, we’re stooping to Illuminati conspiracy theorist levels of reaching to suggest that Calvin Harris and Taylor Swift have a collaboration in the works. I’m not saying that they absolutely don’t have something on the back burner – just simply that whatever the significance of the symbol may be, there’s not enough evidence one way or the other. Nonetheless, if Calvin Harris and Taylor Swift do turn out to have a track or any other project in the works, we’ll deliver you all the pertinent information as it becomes available.